Commercial Photography Shoot for Culmstock Chilli Co. So today’s blog post is all about a commercial photography shoot that I recently carried out for the Devon based Culmstock Chilli Company run by the lovely Nigel and Coralie. A fantastic example of what quite literally started up as a seedling of an idea and has grown into a successful local industry nurturing a huge selection of chilli plants for customers to grow on their windowsill. 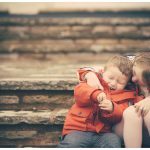 Nigel and Coralie both recognised the need for beautiful, eye catching imagery to accompany their stunning new website. This new shop front needed to look beautiful to enable them to start selling online alongside the festival and events that they were already doing. 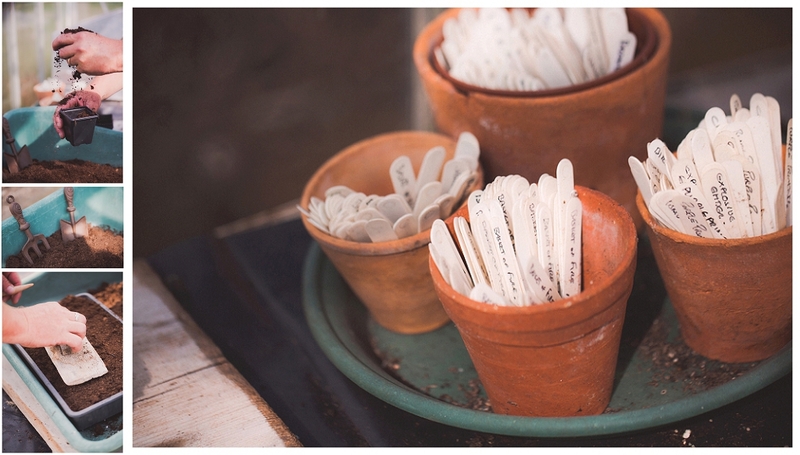 There were several elements to their shoot and all were around the need to personalise their business. 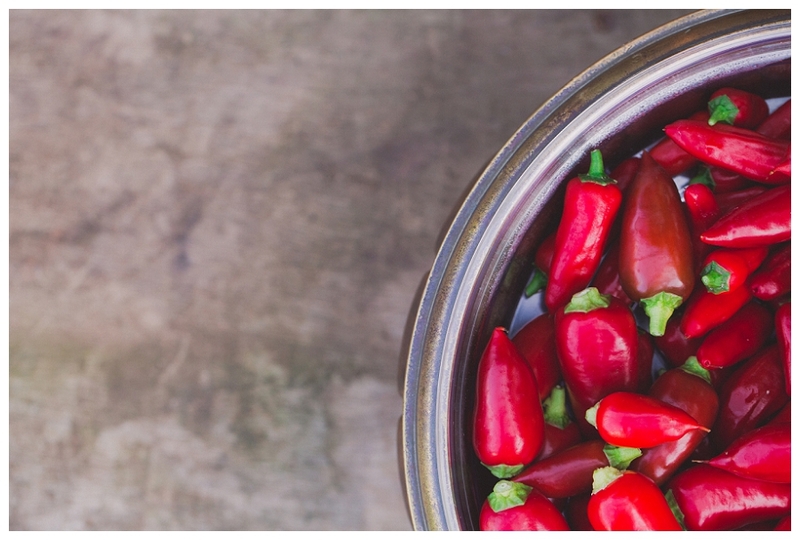 They were not after generic imagery – this was all about their business and brand, their chillies and their story. An important element of the shoot was to introduce you to Nigel. As you can imagine… a shirt and tie formal commercial headshot was not going to cut it here. It would say nothing about Nigel or the business that he is in. It was far more important to capture Nigel in his natural surroundings (!) so this is where environmental portraiture comes in. It says so much more than a typical head and shoulders passport photograph does. It was all about bringing elements of who they are and what their brand was all about. A behind the scenes look at the business. 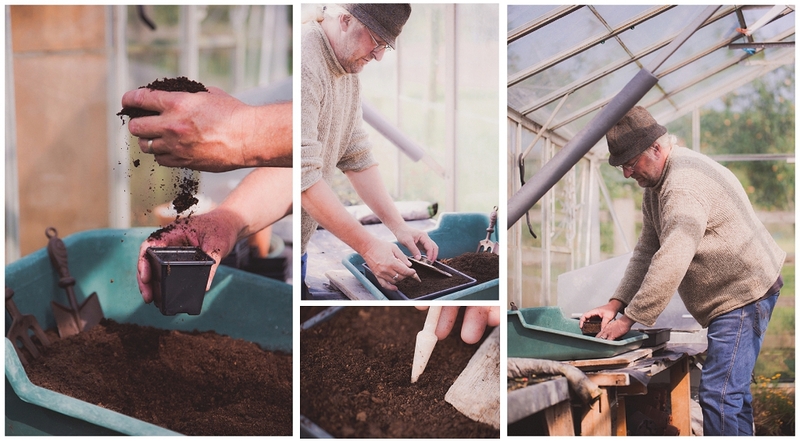 These images were designed to show the story of what goes on behind the scenes from planting the seed to watering and regular health checks. All of this ensuring that each plant grows to be big and strong ready for the customers windowsill. This was obviously an important element of the shoot showing off these beautiful chillies. 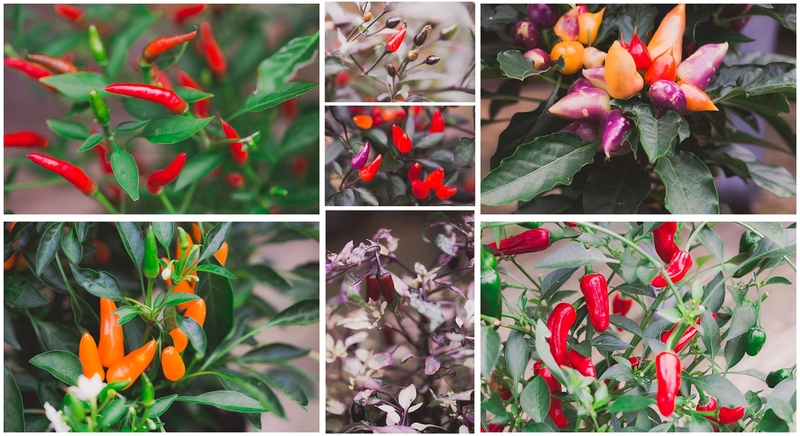 We shot close up images of the chillies on the plants so customers could see the differences between the huge variety of chillies when purchasing online. 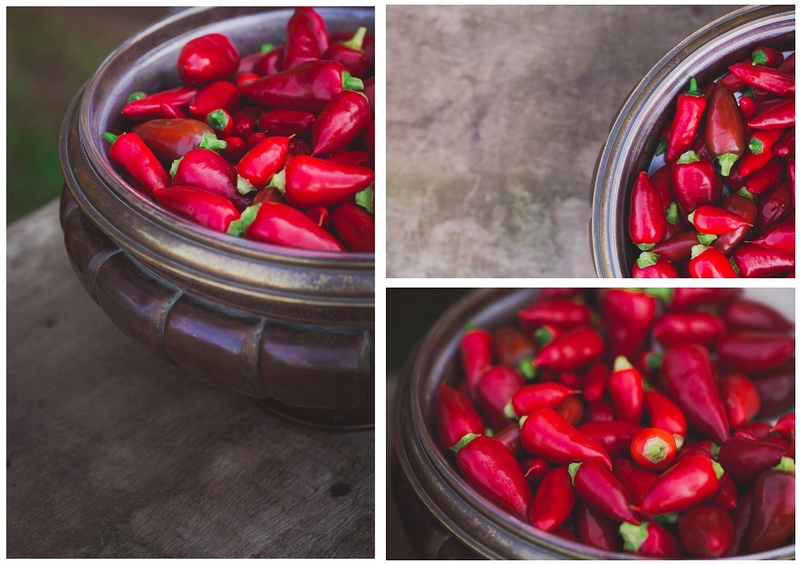 We also shoot some styled imagery of the chillies paying close consideration to the need for these images to be on brand with a rustic backdrop. 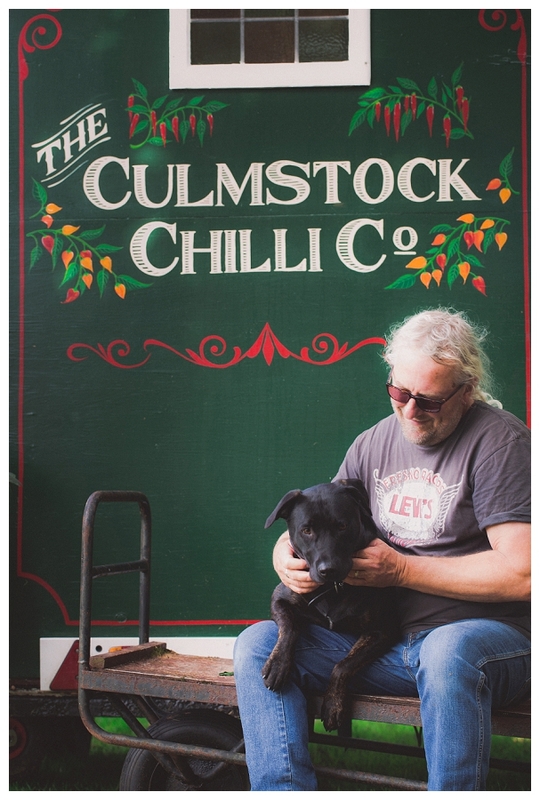 Nigel and Corlaie have been selling at local fairs and events using their beautifully painted and styled stall which is a big part of the Culmstock Chilli Company brand so it was only natural that we should capture that as well. I mean it would be rude not to… look how beautiful it is! 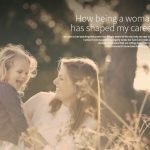 You can see here how the photographs were used on their website – lovely and big and bold to create eye catching imagery. They are used through the website but you can see below examples from their blog page, contact us page, our range page and the ‘caring for your plant’ page. If you would like to find out more about The Culmstock Chilli Co and their amazing variety of beautiful chillies you can visit the Culmstock Chilli Co website. 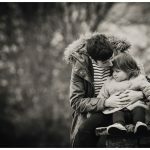 If you are interested in creating some beautiful artistic imagery to wow your customers then please do get in touch to find out more about our bespoke commercial photography sessions or visit the commercial lifestyle section of our website. We can build a package specifically for you based on how you would like to tell your story… whether that includes product photography, environmental portraits, process images or work place photographs. Any questions or comments – please feel free to post below!